The TOGAF 9.2 certification training in Mumbai will help you master the core principles, terminology, structure and concepts of TOGAF 9 – the global framework for enterprise architecture (EA). You’ll learn the guidelines required for defining EA and enabling business-IT alignment, more efficient IT operations, better planning and visibility, and more informed decision-making and design. TOGAF certification training will demonstrate to employers your level of professionalism in architecture principles and processes. How do I become a TOGAF certified in Mumbai? You must pass both TOGAF 9 level 1 (Foundation) and level 2 (Certification) exams to become TOGAF 9 certified in Mumbai. An Exam Voucher will be provided to you with the course, and you may take the exam at your convenience from any of the nearest Open Group Pearson VUE test centers. What are the learning benefits of this TOGAF course in Mumbai? I have enrolled for TOGAF 9.1 certification course from Simplilearn. It was a nice learning experience. The trainer handled each individual's concerns and questions professionally and answered in great detail. The wealth of information and real-life examples used by him was really helpful. Thank you. I feel a lot of effort has gone into gathering the course content. The course is designed very well - Great work. Simplilearn is the best online platform to pursue any online courses available in their course list. It's the most amazing thing that happened in my life was to come across Online Certification Training Courses for Professionals. It was really a surprise to see that they have constructed the enterprise architecture course in such a amazing manner. I cleared both TOGAF Foundation (Level 1) and TOGAF Certified (Level 2). I was promoted in office as well to take additional responsibilities to lead the architecture group. I then registered for AWS essentials, AWS Solution Architect course, Linux etc. and to my surprise, it was an equally excellent experience. Recently I have again enrolled for Blockchain course in June 2018 and hoping to get new dimensions in the same. I can’t stop keep learning from this platform at my own ease. Believe me, if you register with Simplilearn once then you can’t stop learning and exploring. The customer support team is great. Lots of thanks from the bottom of my heart to the company and every staff whom I have dealt with till now. 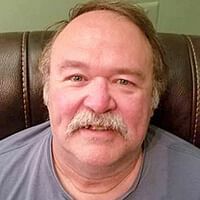 Please keep up the great work and help people like me to learn and contribute. Simplilearn is a learning platform for all IT Professionals who want to get upskilled with the proper certifications. It provides us with the knowledge to excel and opens new avenues and opportunities in IT field. This is one of the best training platforms. The trainers are really good. They have adequate knowledge and experience and they explain the topics in detail. Course structure and content quality are really good. Also, I have a great appreciation for their customer support team, who are very prompt in helping out and providing information. 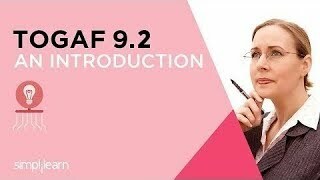 Simplilearn provides a very detailed course coverage for TOGAF 9.1 Part 1 and Part 2. The instructors are very knowledgeable and explain the concepts in great depth. They are always willing to answer your queries till your doubts get cleared. The course material is in-depth covering all the topics with a lot of clarity and details. There are supporting practice sheets as well as mock test. I am very satisfied with Simplilearn and look forward to doing further professional certification training through their platform. The trainer is very god, the pace was perfect, effectively cleared all my doubts with appropriate examples. I am glad to be part of this training session. I thank simplilearn for providing great course content and such knowledgeable trainers. Trainer's Knowledge on the subject was excellent. Each component was explained with a real life example. The Trainer has deep knowledge, and is extremely accommodating in nature! Excellent presentation skills as well. I give a rating of 10/10. The topics were explained in detail. The trainer is soft spoken and has good practical knowledge and communication skills. The training pace was perfect for learning. What is the average salary for a Enterprise Architect in Mumbai? 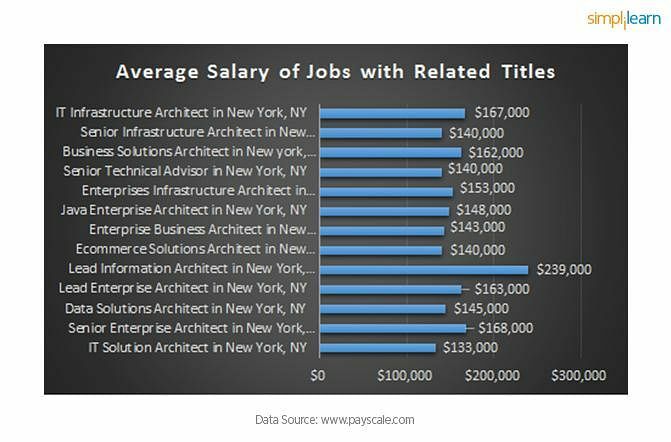 According to Payscale, Enterprise Architect in Mumbai have the potential to earn up to 34 lakhs a year. What are the various Architect roles available in Mumbai? What are the top companies that offer Enterprise & Solution Architect jobs in Mumbai? Companies like Capgemini, J.P. Morgan Chase & Co. (JPMCC), Accenture & Tata Consultancy Services Limited are some of the companies that are on the lookout for skilled Enterprise & Solution Architect professionals in Mumbai.